I recently – finally – got my hands on Jay Sankey’s video, “Revolutionary Coin Magic.” Woot! I learned a routine called Mr. Clean Coins Across from this video last year. Now I have access to all the routines! Buwahahahahaa! Someone over at The Magicians forum requested that I do a quick video of me doing something I learned form this DVD, so I did a quick and dirty iPhone video of myself doing The Messiah Vanish. Here is the result of that. 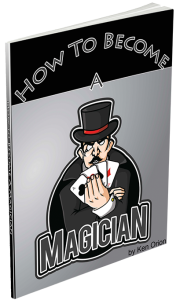 As I mentioned, this trick can be found on Jay Sankey’s Revolutionary Coin Magic DVD, which is one of the best learning resources for coin magic ever, as far as I’m concerned. Granted, I’ve only been doing magic for a little over two and a half years at this point, but coin magic has been my main focus and I do have many of the recommended coin magic books and DVDs. This DVD is harder to find than some of the newer ones, coming out as it did in the early 2000s – ca 2004 I think. But you can get it from Jay Sankey’s site here. Or try eBay, which is where I got my copy. Here is a link to it on eBay for one on sale right now.